Flowers are an important part of most funerals. 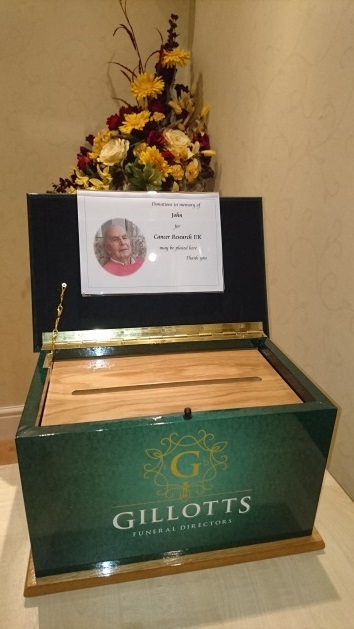 Some families choose a single tribute for the coffin; others prefer individual pieces from family members and there are a range of different types of floral arrangements to choose from. Funeral sprays or wreaths are typically created by a florist for the top of the coffin. Funeral sprays are often more appropriate if flowers are to be used after the funeral as the flowers last longer as they’re on longer stems. Sheaf or hand-tied bouquets may also be suitable. In general, the choice is completely down to personal preference and you can discuss the options in more detail with your florist. There are a number of florists in the local areas around our funeral homes who provide an important and valued service to their local communities. We encourage families who have a relationship with a local florist to visit them to discuss their wishes and order their flowers. The florist will then deliver the flowers either to our premises or to the family home in good time prior to the funeral. For those who prefer to order floral tributes through our funeral homes, we have a long-standing relationship with Options, a florist close to our Eastwood funeral home. Clients can order tributes to be included on the funeral account, and all other individuals can order in person, or by telephoning us and paying by debit or credit card. 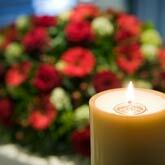 Our funeral flowers brochure can be downloaded here. • Flowers welcome – anyone who wishes to may send flowers for the funeral. • Flowers or donations – the individual may choose whether to send flowers, or give a donation to a charity or charities chosen by the family. • (Immediate) family flowers only – those within the family may send flowers, whilst those outside of the family, such as friends and work colleagues, should send a donation rather than flowers. • No flowers please – everyone is requested to give a donation rather than send flowers. The person arranging the funeral may then organise a single tribute for the coffin which is from the entire family. People planning to attend the funeral can visit our Announcements page or contact us to find out the arrangements for flowers for the funeral. Many families now choose one or more charities to receive donations in lieu of flowers, and the collecting and handling of those donations is an important part of our service. Donations can be collected in a number of ways – by post or in person at our offices, by retiring collection at the funeral service using our donations box, and, if the family have chosen to collect in this way, online via our funeral announcements page. This option allows donors who are UK taxpayers to Gift Aid their donation, which increases the amount which the charity receives by approximately 20% once the site’s processing fees are taken into account. To see if an online donations page has been set up, please visit the Funeral Announcements page.